Usually, when it comes to driver management, for computer already deployed, we say ‘If it ain’t broken don’t fix it’. 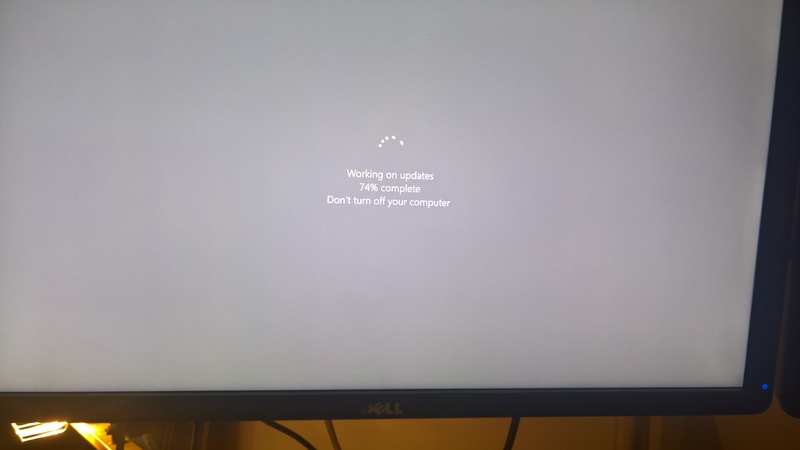 Once in a while, a driver or firmware could require an update because of a bug reported by multiple users but that would usually be an exception. Microsoft Surface devices have proven over and over that this statement doesn’t apply to them. Microsoft Surface, since the beginning of the brand, tend to work better with latest firmware version. 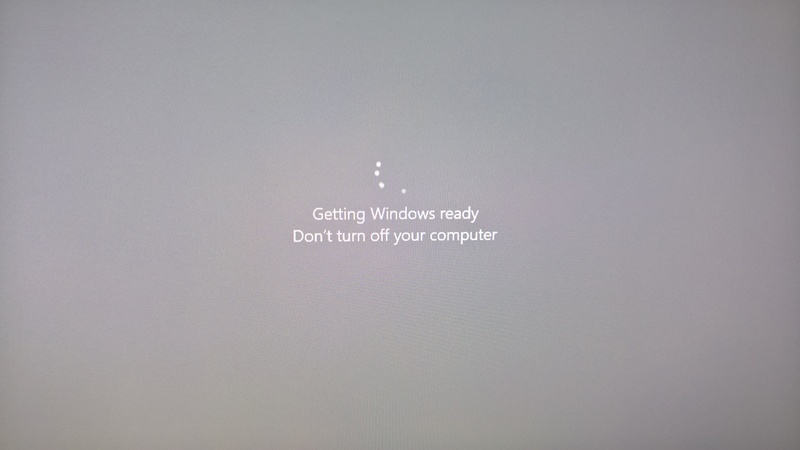 Microsoft often releases new firmware revision along major Windows 10 releases. 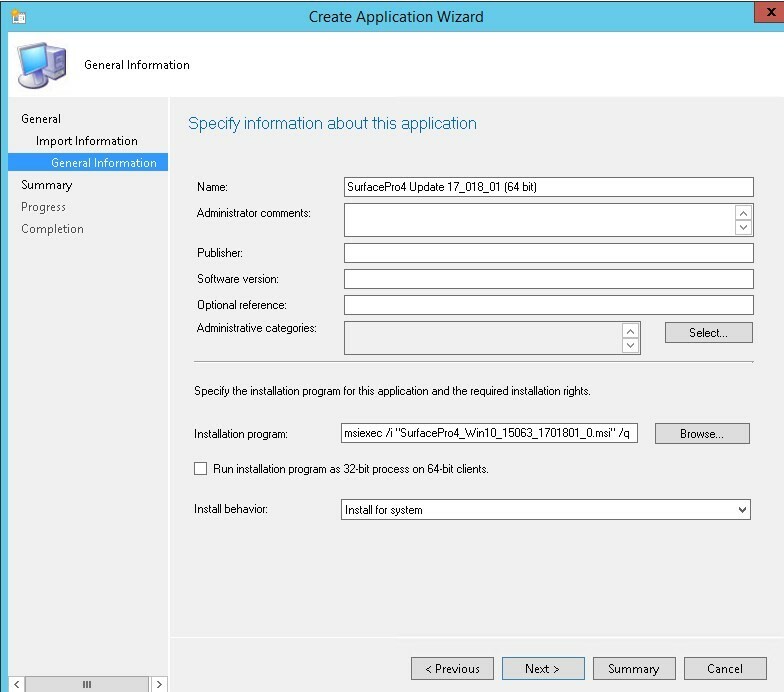 This blog post will detail how to update the Microsoft Surface firmware using SCCM. 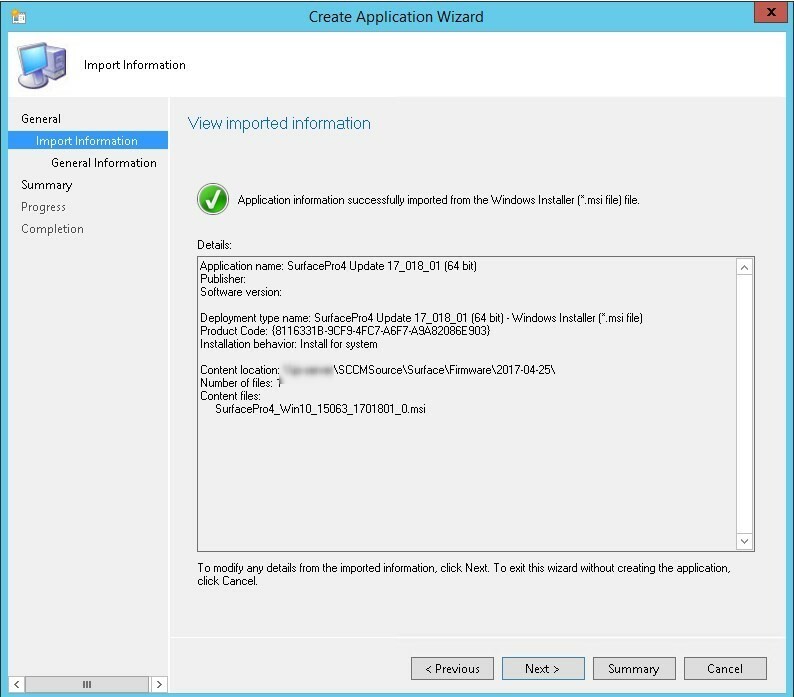 [su_box title=”Important Note” style=”glass” title_color=”#F0F0F0″]Microsoft has started to release firmware updates based on Windows 10 builds. Vigilance is key here. 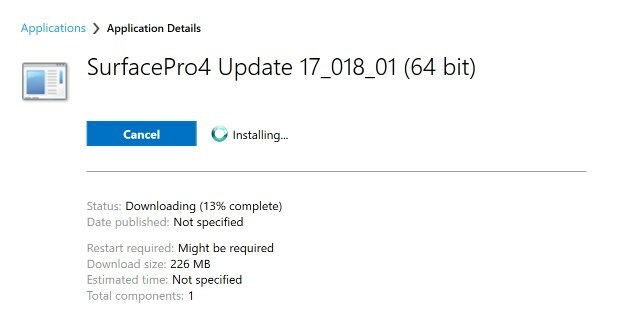 As an example, the Surface Pro 4 has a release specifically for the Creators Update (build ID 15063). This would mean that older Windows 10 version should use the other release of the firmware, which as no build ID in the name. 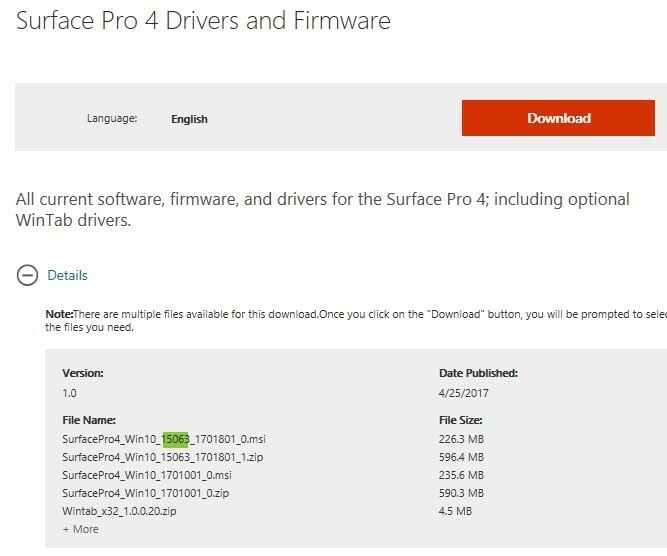 Why use the MSI to Update Microsoft Surface Firmware? 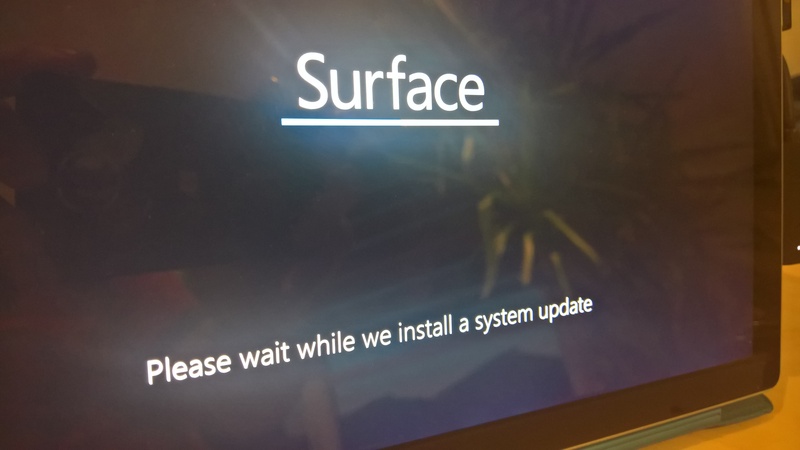 Microsoft Surface firmware contains multiple drivers, software, and UEFI updates. Most releases do not upgrade all drivers, firmware and UEFI at once. Some releases only update one or two component, while others will update pretty much everything. Having an inventory of each of those components would be huge to maintain and managed throughout releases. 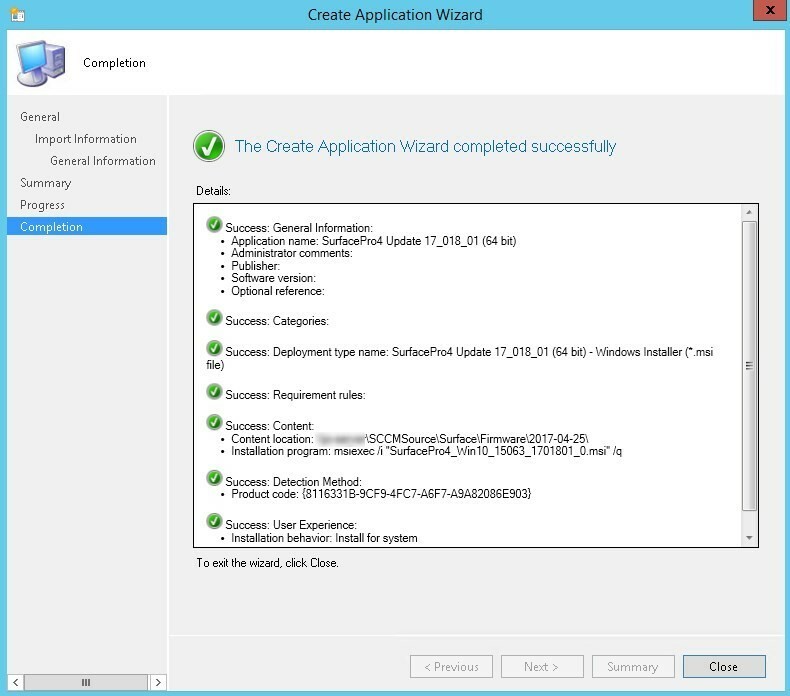 Using the provided MSI file provides an easy way to inventory of all those components since it has an entry in Programs and Features once installed. 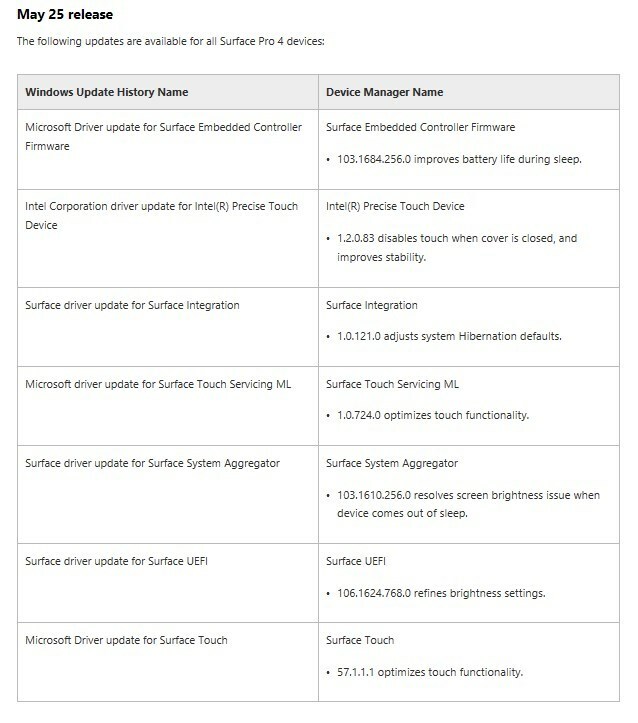 The update history for all Microsoft Surface models is available here. 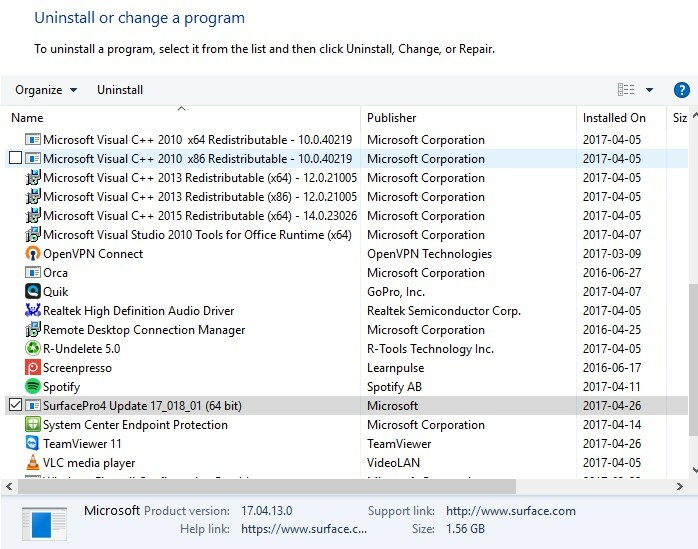 Microsoft has inconsistency with firmware version. In this example, the MSI version which will eventually display in Program and Features, is not on the history page. The only thing matching “approximately” is the Date Published. Word of advice, keep track of version and release dates for future debugging. The deployment can be done just like any other deployment. You can use a built-in report (Computers with specific software registered in Add Remove Programs) to check the which devices have the Firmware installed using hardware inventory. Just use the exact name that is displayed in Program and Feature to target your search. You can use our new Asset – Surface devices report to get detailed information about every Microsoft Surface in your environment, including UEFI versions and Firmware versions when deployed with this method. 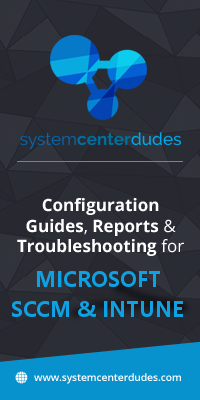 Contributor of System Center Dudes. Based in Montreal, Canada, Senior Microsoft SCCM consultant, working in the industry for more than 10 years. 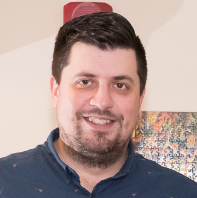 He developed a strong knowledge of SCCM and MDT to build automated OS deployment solution for clients, managed large and complexe environment, including Point of Sale (POS) related projects. 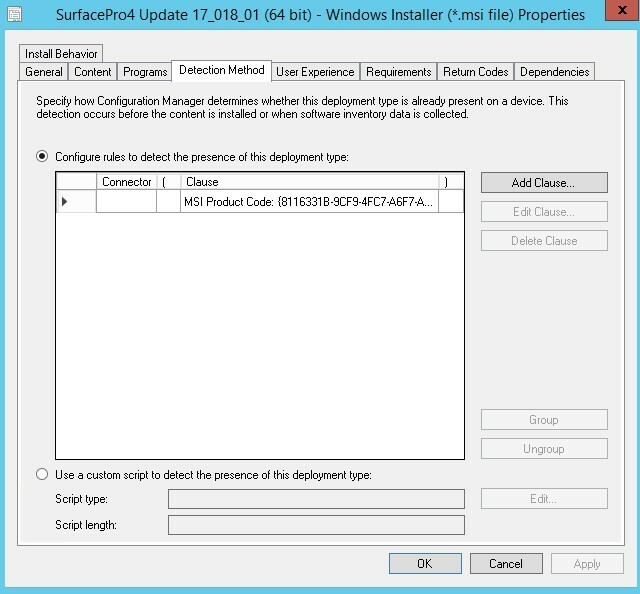 In regards to the Recovery Key prompt I assume the option to Suspend Bitlocker using SCCM wasn’t selected, but my bigger question is in regards to updating the Docking Stations, has that been remedied with the latest version of SCCM 1810 – 5.00.8740.1042? SInce i have read your comment from feb 2018 that there is command line to update surface docks. 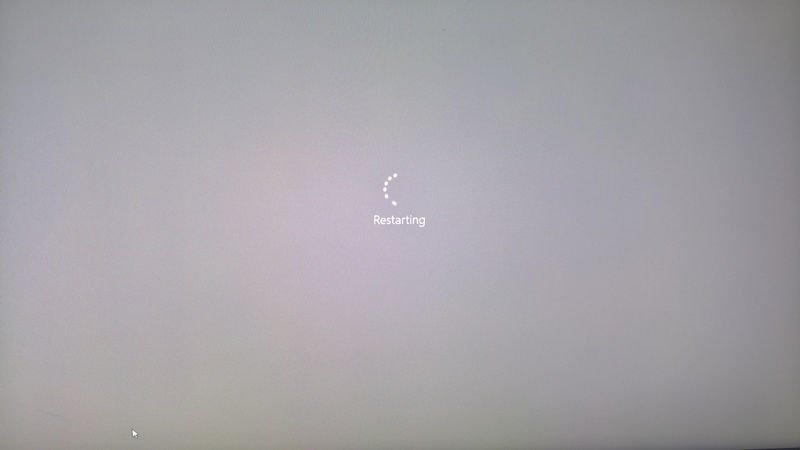 Do you know if MS found any way to do it from SCCM as we have around 200 users who are given with Surface pro that needs a Surface dock as well and updating them manually will be a laborious job and we can not give the users with LA rights as well for this thing only. When I distribute the .msi file it shows the size is 91292448kb which is 91GB in distmgr.log. The msi file is only 226mbs. Do you know why this happens. 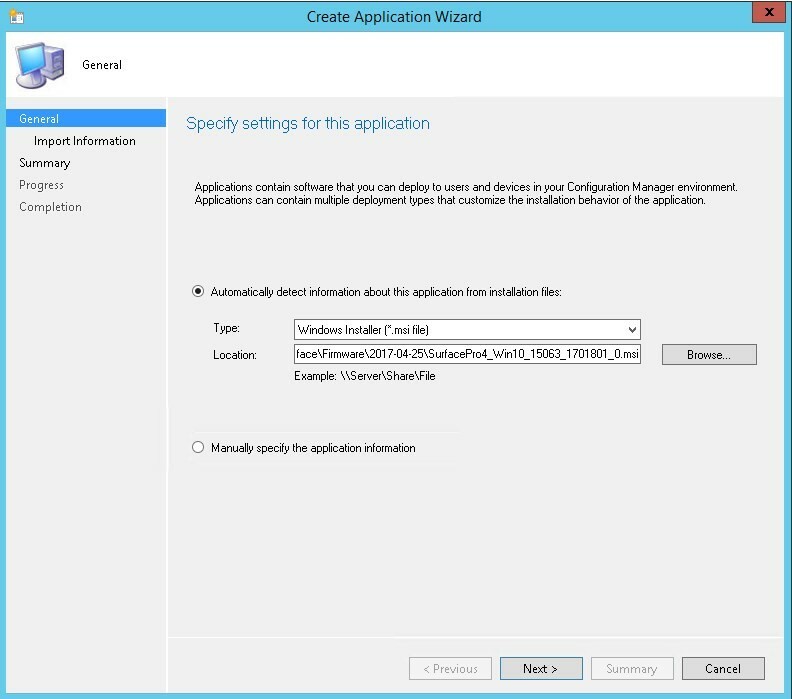 We have SCCM Version 1710 on Windows Server 2012 R2. Figured out that it was including some other drivers which were in that folder. Made a new folder for Surface Drivers. It works!!! 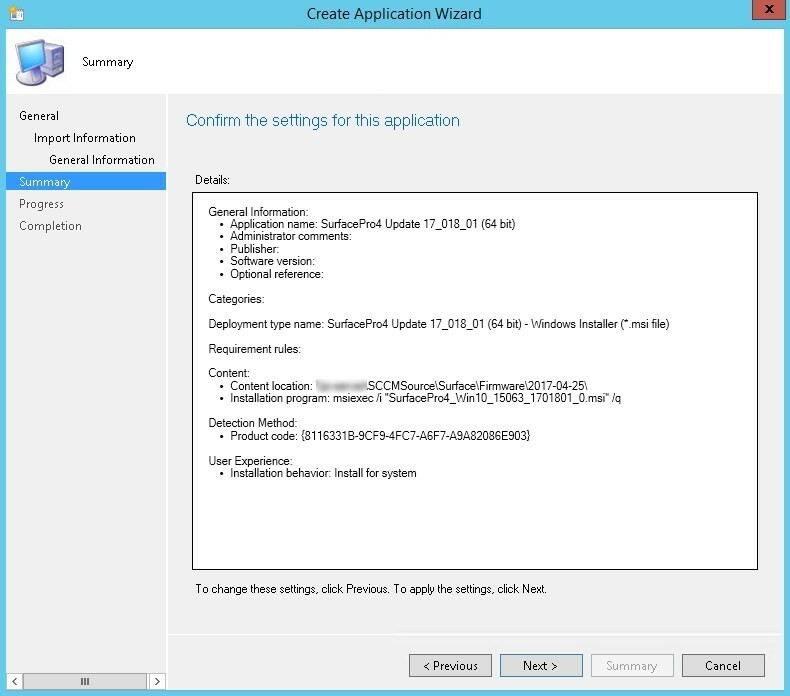 What about Surface Docks, how are they updated through SCCM? when I wrote this blog I looked to find a way to do so. I remember that there was no command line to do so at that time. How do you handle bitlocker in this case? When enabled users get that bitlocker thinks there is a change in hardware or something and aks for the recovery key. I had BitLocker enabled for my test and never had prompt for recovery key.